This Kidde Fire Extinguisher equipment recall includes models supplied with boats and PWC from 1973 to 2017. Note: Based on the following media release from BoatUS on Nov. 6 regarding an important recall of Kidde fire extinguishers, many of which may be on boats. I used the information and discovered that each of the three Kidde extinguishers in my household are subject to this recall. We urge readers with Kidde extinguishers on their boat or in their home or shop to take action. A recall for Kidde Fire Extinguishers has been issued for 134, ABC- or BC-rated models manufactured between January 1, 1973, and August 15, 2017. CPSC says there have been approximately 391 reports of failed or limited activation or nozzle detachment, including one fatality; approximately 16 injuries, including smoke inhalation and minor burns; and approximately 91 reports of property damage. The BoatUS Foundation for Boating Safety and Clean water is urging recreational boat owners to check their boats for the recalled extinguishers and get a free metal-handled replacement by going to the CPSC recall website. The recall affects both plastic-handle and push-button Pindicator Kidde fire extinguishers, including 134, ABC- or BC-rated models manufactured between January 1, 1973, and August 15, 2017. The extinguishers are red, white or silver and were sold in the US and Canada through a wide range of retailers, from Montgomery Ward to Amazon. The CPSC recall website shows how to easily identify the affected extinguishers. In the recall, Kidde also acknowledged the free replacement push-button extinguisher being sent to personal watercraft owners is similar in size to the recalled model but may not fit in the same location as the old fire extinguisher. “This may require a slightly different mounting orientation or location,” said BoatUS Foundation Assistant Director of Boating Safety Ted Sensenbrenner. In case of an accident, most serious boaters have a “ditch bag” which is large enough to hold epirb, first aid, snacks, whistle, mirror, and important papers. The ACR 2279 RapidDitch Express Abandon Ship Survival Gear Bag is one of the better ones because it’s heavy duty and highly reflective. We wish it were waterproof, but it’s still excellent for storing and quickly locating your survival gear. The PulseTech SP-5 Solar Charger is one of our best additions to date… no more dead boat batteries. We now have a perfectly maintained 12 volt boat battery at all times. Pulse technology increases battery life by 3 to 5 times, so this easily pays for itself. The military grade solar array is much smaller than most and is virtually indestructible because it’s encapsulated in Lexan. It has a rugged 17 foot cord (with a quick disconnect), so you can mount it quickly and almost anywhere. Small control box stops discharge when light is insufficient, simple red LED lets you know it’s working at full or blinks when not. Built for the Army. Five year limited warranty. In test after test, no anchor in history has been called “The World's Best Anchor” by more boaters and marine experts than Fortress. Fortress weighs only half as much as heavier steel anchors and yet outperforms them all. Precision-machined from high-tech aluminum alloy that is as strong as steel, but only half the weight. Will set faster and penetrate deeper into common sea bottoms for incredible holding power. Can be disassembled for storage. Excellent as a spare or storm anchor. Easy to store. Free replacement of any damaged anchor part, forever! The first American Thanksgiving was celebrated in 1621, to commemorate the harvest reaped by the Plymouth Colony after a harsh winter. In that year Governor William Bradford proclaimed a day of thanksgiving. The colonists celebrated it as a traditional English harvest feast, to which they invited the local Wampanoag Indians. 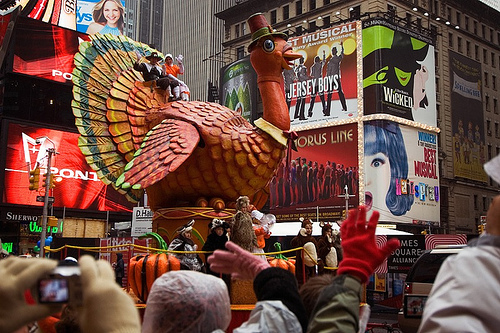 By the mid–1800s, many states observed a Thanksgiving holiday. Meanwhile, the poet and editor Sarah J. Hale had begun lobbying for a national Thanksgiving holiday. During the Civil War, President Abraham Lincoln, looking for ways to unite the nation, discussed the subject with Hale. In 1863 he gave his Thanksgiving Proclamation, declaring the last Thursday in November a day of thanksgiving. In 1939, 1940, and 1941 Franklin D. Roosevelt, seeking to lengthen the Christmas shopping season, proclaimed Thanksgiving the third Thursday in November. Controversy followed, and Congress passed a joint resolution in 1941 decreeing that Thanksgiving should fall on the fourth Thursday of November, where it remains. Thanksgiving is most commonly celebrated at home, with family and friends. This is one of the things which makes Thanksgiving such a meaningful day and full of traditions with those closest to us. According to most historians, the pilgrims never observed an annual Thanksgiving feast in autumn. In the year 1621, they did celebrate a feast near Plymouth, Massachusetts, following their first harvest. But this feast most people refer to as the first Thanksgiving was never repeated. Oddly enough, most devoutly religious pilgrims observed a day of thanksgiving with prayer and fasting, not feasting. Yet even though this harvest feast was never called Thanksgiving by the pilgrims of 1621, it has become the model for the traditional Thanksgiving celebrations in the United States. 1541 - Spanish explorer, Francisco Vasquez de Coronado, led a thanksgiving Communion celebration at the Palo Duro Canyon, West Texas. 1565 - Pedro Menendez de Aviles and 800 settlers gathered for a meal with the Timucuan Indians in the Spanish colony of St. Augustine, Florida. 1621 - Pilgrims and Native Americans celebrated a harvest feast in Plymouth, Massachusetts. 1630 - Settlers observed the first Thanksgiving of the Massachusetts Bay Colony in New England on July 8, 1630. 1777 - George Washington and his army on the way to Valley Forge, stopped in blistering weather in open fields to observe the first Thanksgiving of the new United States of America. 1789 - President Washington declared November 26, 1789, as a national day of "thanksgiving and prayer." 1800s - The annual presidential thanksgiving proclamations ceased for 45 years in the early 1800s. 1863 - President Abraham Lincoln resumed the tradition of Thanksgiving proclamations in 1863. Since this date, Thanksgiving has been observed annually in the United States. 1941 - President Roosevelt established the fourth Thursday in November as Thanksgiving Day. I see many boats damaged by hasty, unprofessional, winterizing. Many boats are damaged, some even destroyed every year because the systems aren't given the attention they deserve. While everybody knows that the engine and freshwater system must be winterized, there are many small but critical jobs that should be done that tend to go unaddressed. Was the engine intake sea strainer drained? Have biminis and dodgers been stored inside? Is the boat blocked properly for storage? Look, your boat is a major investment, are you going to take a chance of ruining everything to save (not if you do it wrong) a few dollars in winterizing your boat without a professional? Veterans Day is intended to honor and thank all military personnel who served the United States in all wars, particularly living veterans. It is marked by parades and church services and in many places the American flag is hung at half-mast. A period of silence lasting two minutes may be held at 11am. Some schools are closed on Veterans Day, while others do not close, but choose to mark the occasion with special assemblies or other activities. Veterans Day annually falls on November 11. On the 11th hour of the 11th day of the 11th month of 1918 an armistice between Germany and the Allied nations came into effect. On November 11, 1919, Armistice Day was commemorated for the first time. In 1919, President Wilson proclaimed the day should be "filled with solemn pride in the heroism of those who died in the country’s service and with gratitude for the victory". Veterans are thanked for their services to the United States on Veterans Day. Okay, so let’s assume you tended to your boat, got it out of the water, winterized, and put away till spring. Now its' time to relax……...not so fast! You have two and a half weeks till Thanksgiving, and if you want to keep the peace, you have some chores to address. Alert your family or a neighbor that you'll be cleaning the gutters, and check in with them at a planned time. Practice ladder safety—always keep one hand on the ladder, and avoid reaching too far. Enlist the help of a family member or neighbor to hold the ladder base. Wear gloves to protect your hands from potentially harmful bacteria or thorns. Warm up your body for 10 minutes before you start raking. Wear gloves and long sleeves to protect against any thorns or poisonous plants that you might collect. Avoid twisting from your back to rake in a new direction; turn your feet first. Use your knees when lifting, and stop working if you feel pain in your back. Wear shoes with strong traction—wet leaves can be slick. Stay hydrated and take frequent breaks. Storms and wind can snap dead branches, which can injure people or damage items in their path. Keep your trees and shrubs in good shape using the right tool and a ladder, if needed. Choose a tool that's made for trimming, such as hand pruner, loppers or a pruning saw.3 Make sure the tool is sharp. Wear gloves and long sleeves to protect your hands and arms, and follow the guidelines for ladder safety.